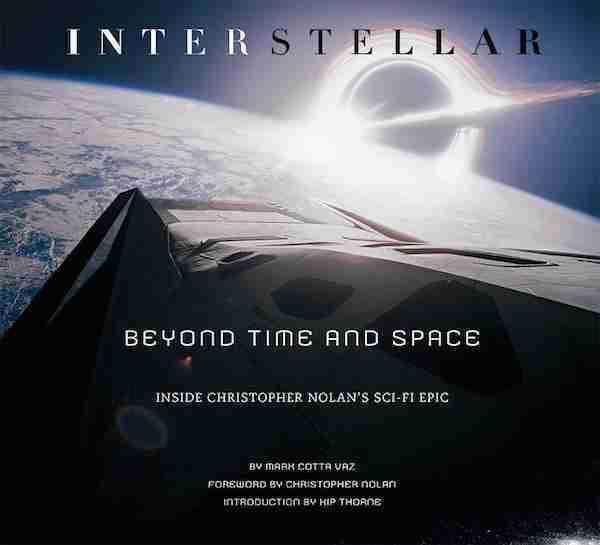 Interstellar: Beyond Time And Space: Inside Christopher Nolan’s Sci-Fi Epic is the perfect companion piece to Christopher Nolan’s science fiction epic. Much like the film itself, Mark Cotta Vaz’s book is a detailed and stylish affair which shows how Christopher Nolan designed and created this big budget blockbuster. This weighty book from Titan delves deep into the detail of how Nolan, along with his brother Jonathan and scientist Kip Thorne, created a science fiction film that keeps thing firmly rooted in the real word. What makes this book stand out from similar efforts is the emphasis on the science. This is the key message that the book gets across, highlighting that Interstellar is a world away from other space epics that usually play-up the fiction elements of the genre. Beyond Time And Space sees impressive production art sit beside high resolution on-set photographs to give a wonderful over view of Nolan’s film. While interviews with key personal offers insight into how Nolan attempted to avoid CGI as much as possible in his attempt to make Interstellar feel real. The book explains how Nolan and his crew used in-camera effects to add an authenticity to the events taking place on screen. Interstellar: Beyond Time And Space: Inside Christopher Nolan’s Sci-Fi Epic is a stunning accompaniment to Christopher Nolan’s thought-provoking space drama. It covers the film’s production as well as the many themes and concepts behind this Kubrickian blockbuster.